Powerful and deeply personal, the piece tells the story of choreographer, Kevin Edward Turner, following his journey and struggle with Bipolar-disorder. Join in the Share This event afterwards to discover how to join the conversation creatively through social media. 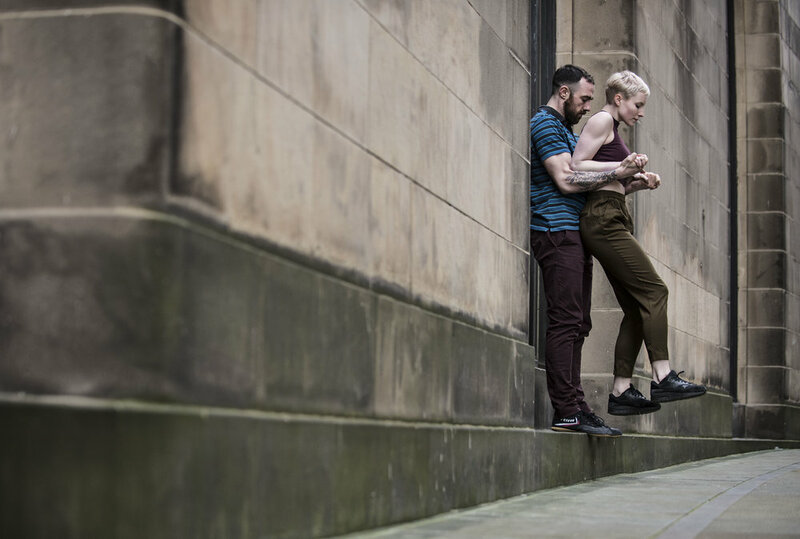 A new and brave choreography from Company Chameleon, this must-see piece features a rich mix of dance and movement styles performed by Kevin and three dancers. Athletic lifts, dynamic movements and moments of fragility and sensitivity, combine to create a view of mental health, which you simply won’t forget. Touching, sad, funny and absurd, this is relevant and up-to-the-minute dance theatre. were nominated for Best Independent Company at the National Dance Awards. Event follows the first performance, and is at 1.30pm. FREE. Are you interested in learning how to use social media for sharing your thoughts and insights about arts and culture? Or do you want to find creative ways to discuss an issue you care about, like mental health? Join us for a post-show free event with the Company Chameleon Artistic Director whose experience with mental health problems inspired the show, local influencer and poet Quddous and professional blogger and social media expert Eva Keogan. There will be a panel discussion and Q&A to inspire you to develop your own content: whether that be video, blogs, images or posts that really get the conversation going. Bell Square is a member of the Without Walls Associate Touring Network.